Four clear priorities have been identified for improvement. These projects address issues identified at the interface between primary and secondary care, and are designed to improve the quality of interaction between clinicians. 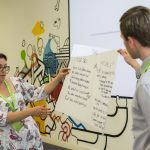 Projects are led by clinicians and subject matter experts, with delivery underpinned with a robust approach to facilitating improvement – more information and resources will be added to these pages as projects develop. Click here to enlarge the Safer Handover summary page. Advice and Guidance (A&G) enables GPs to directly contact specialist consultants in secondary care and work collaboratively to ensure patients receive the right care in the right place prior to a referral being made. A number of tools are currently available on the market to provide this service, with a national CQUIN in place to kick-start this approach. Clinicians in Salford are currently piloting the use of advice and guidance (A&G) tools to enable rapid, multi-way interaction between clinicians in different settings. Our priority is for A&G to simplify the process of communication, enable shared decision making and provide a better service to patients. Advice and Guidance has currently been rolled out across Salford Royal’s Gastroenterology, Respiratory and Cardiology departments, with more specialties to be added soon. More information regarding example cases can be accessed here. Click here to access a draft Standard Operating Procedure for more information about using and accessing Advice and Guidance. The decision to transfer a patient from hospital to their usual place of residence requires considered planning to coordinate the completion of activities to support ongoing care for patients. The image to the left is a representation of the steps required in an ideal process to ensure effective communication at the point of transfer, using reliable mechanisms to share information. Salford CCG has provided Innovation Funding to support a patient pathway expert to learn from experiences of the current state and process of transferring the care of a patient from hospital to a GP. This evidence base will support development of new ideas and innovations which will move from the current state toward an ideal state. Every patient who is discharged from hospital is required to have a discharge summary, documenting many aspects of their care and condition during a visit or stay at hospital. This is a critical tool for communicating information with patients and GPs, however is not always used as effectively as it could be. A number of additional changes are been developed to improve the IT system supporting discharge, for example, the inclusion of automatic DNAR update fields. Primary care providers in Salford are managing patient actions and accessing up to date information from over 20 different clinical systems, with significant variation between providers and individuals in how these are being used. 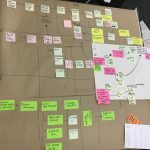 As new services are being developed, such as Salford Wide Extended Access Programme (SWEAP), requiring interaction between clinicians using these systems, clinicians have identified a need to streamline task management processes. 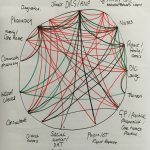 As part of the Improvement Science for Leaders programme, a team from Salford Primary Care Together are taking on the challenge to improve processes for managing tasks in primary care, with an initial focus on the SWEAP service. 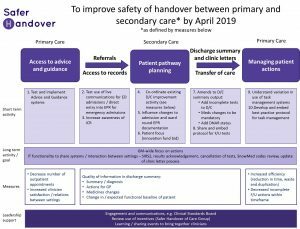 We recently blogged about the updates to our Safer Handover work!